The satirical news group The Onion posted the headline, ‘Relatives Gather from Across the Country To Stare At Screens Together.’ Sound familiar? DMR, a group which gathers online marketing stats, says that just over 1 billion people use Facebook every day, and stay on for an average of at least 20 minutes. They also say Pinterest has roughly just over 42 million users in the U.S., YouTube receives 4 billion views per day, and the average session length is 40 minutes. And the Radicati Group, A technology marketing research firm, estimates that 204 billion emails will have been sent and received for both business and personal use in 2015 by the world’s estimated 2.58 billion email users. That’s an average of several dozen emails written and read per person per day. The exact number requires math, so you can do that yourself if you want. On top of that, how many texts do you send and receive during an average day? The ease and convenience of using our devices for communication, learning and entertainment have made those devices our best friends. Imagine how close you’d be to a person if you gave him or her that much attention. We all know that a lack of nurturing can cause a relationship to suffer, and that vast amounts of time spent on-screen can cause fatigue. But also, so much focus on your screen of choice for the bulk of your interaction with the world requires your mind to think in that one manner almost constantly. And it’s not just our devices, it’s our careers in general. Day-in and day-out focus on your success is admirable, as is powering through fatigue to get the job done. And our devices allow us to work anytime from anywhere. But that sort of prolonged focus will cause mental exhaustion, which leads to inefficiency, errors and burnout. You know what it feels like to be in desperate need of a vacation, and holidays provide a perfect excuse to rest, if even just for a day or two. Athletes rest. Musicians rest. If you follow a fitness routine, then you know the importance of resting your body. The research on also resting your mind is ubiquitous and long-proven. We all know we should do it. Why then, do so few people rest their minds adequately? Digital communication has no doubt provided a vast personal improvement for so many of us, giving us the ability to reach out across miles to loved ones and remind them that we care. And the holidays give us a great reason to do so. But, the holidays also provide a unique opportunity in the form of time away from work to consider setting down our devices for a day or two (if your job allows for it). Again, it seems obvious, but research shows that very few people actually follow through and power down. Happify says that 58% of us send and read work emails during holidays, and a majority of those people feel resentful toward their employers for doing so. But are you doing what is required of you, or are you just pushing ahead by habit? Don’t forget to use the precious time you have during a holiday to reconnect with the loved ones who are right there in front of you. For the New Year celebration, you could take a walk together in the cold weather. Start a conversation about the highs and lows of last year, and your hopes for the next. Join a child in discovering their awesome new holiday gift. I see a lot of new toy drone copters on roofs in my neighborhood. I’m well aware of the irony of the fact that I’m using my computer to communicate to you through your computer that neither of use should be using our computers right now. But I think it’s an important message. We all know it. I’m just reminding us both to do it. I’m going to attempt to do it for a day-and-a-half over New Year’s Eve and Day – starting right after I post this. Do you think you can power down for a day? 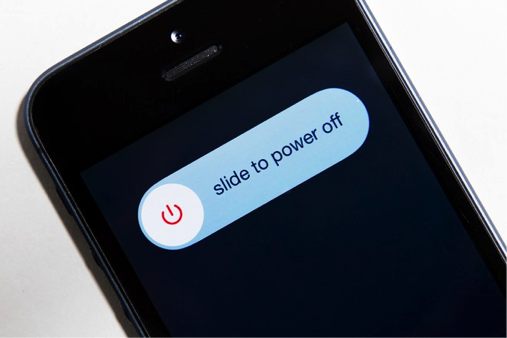 Think about the true costs and benefits of powering down for New Year’s Day. Don’t look at your computer or use the internet on your phone. Your work, Facebook friends, and all those adorable YouTube kittens will be there on January 2nd. Reply on or after the 2nd and let me know if you could do it, and if so, if you feel it was beneficial.